Comfortable, high grade silicone mouthpiece. Purge valve for ease of clearing. Available in Black, Blue, Yellow, and Clear. 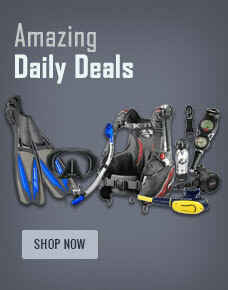 Buy ScubaPro Phoenix 2 Snorkel from Divers Supply at the best price. ScubaPro Phoenix 2 Snorkel comes with full Manufacturers warranty because Divers Supply is an authorized dealer for everything we sell.